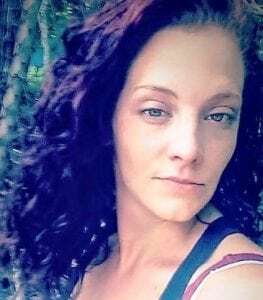 Westfield- It is with heartfelt sadness, the family of Vickie Shedd, 29, announce her passing on September 10, 2018 due to a heart condition. Born July 26, 1989 to Geoffrey L. Shedd and Irene M. (Daniels) Shedd of Chester. Vickie graduated from Gateway Regional High School in 2008. She worked previously at Dunkin Donuts and most recently at Family Dollar in Westfield. Besides her parents, she leaves two daughters, Makayli Nieves and Sofia Rosa-Roman. She also leaves leaves sisters Jennifer Shedd of Springfield, Linda Shedd of Westfield, her Aunt Ellen Daniels Vidal and Jesse Vidal of Russell, Uncle Bob Daniels and Alysia of Russell, Aunt Wilma Sudyka of Chester and Uncle Ted Wheeler of Middlefield, maternal grandparents Robert (who passed away on September 26th) and Audrey Daniels of Russell as well as many nieces, nephews, cousins and many friends. Calling hours will be held Wednesday, October 3rd from 6p.m. to 8 p.m. at Westfield Funeral Home. Please join her family and friends at a celebration of life to be held on Saturday, October 27th at the VFW in Russell, MA.